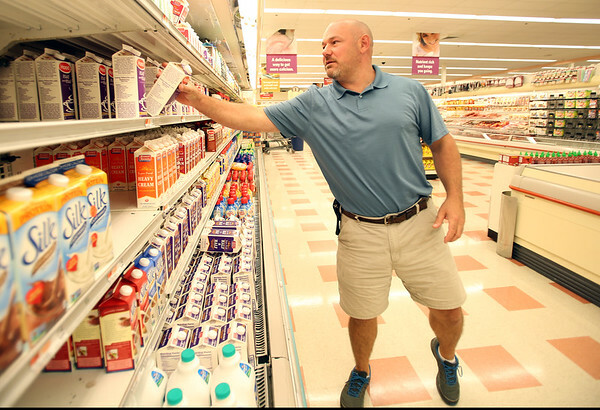 Marblehead native Ed Harvey shops at Market Basket for the first time since a sale agreement between Arthur S. and Arthur T. Demoulas was reached. DAVID LE/Staff photo. 8/28/14.